ning. A bee at the hive entrance can assess the magnitude of the buoyant forces in the hive's air by assessing how hard it needs to work to maintain the air's outward flow. Specifically, faster rates of metabolism in the hive will impart larger buoyant forces to the hive's air, which the fanning bees will have to work harder to oppose. The ability to make this assessment depends crucially upon the number and placement of holes at the hive entrance. Consequently, social homeostasis in this case is tied not only to the existence of meta-loops but also to the architecture of the structure housing the colony. A bee hive is a relatively passive component in its inhabitants' social homeostasis. Bees may seal off holes here or there, but the structure of the hive itself does not alter dramatically with the metabolic demands being placed on it—most of the adaptation involves recruitment of workers to particular tasks. In some social insects, though, the architecture of the nest is dynamic, varying according to the homeostatic demands placed on it by its resident colony. scale modifications that help bring the structure into conformity with its "proper" architecture? Is there a "collective consciousness" of the colony, what some of the more, shall we say, philosophical students of social insects have called a soul of the colony? Or are there other, more prosaic explanations for how these structures work? One of the most interesting examples of adaptive structures is built by the macrotermitine termites, a relatively advanced group of several termite genera, most commonly the genus Macrotermes. The macro-termitines build large above-ground structures (Fig. 11.8), called mounds, which are prominent features of the landscapes they occupy. In my opinion, they are the most spectacular animal-built structures on the planet. As it happens, macrotermitine mounds played an interesting role in the history of the superorganism concept. Our understanding of how these mounds function owes a great debt to a Swiss entomologist, Martin Luscher, who in 1961 published a remarkable paper claiming that the mounds of Macrotermes natalensis, a southern African termite, functioned as colossal heart-lung machines for the colony. He fur ther claimed these mounds were constructed to regulate the nest environment automatically, requiring little in the way of physiological feedback. 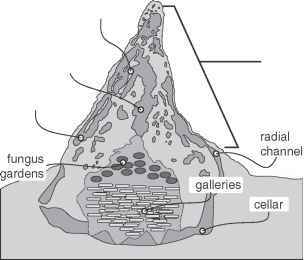 The only role for the termites (aside from building the structure in the first place) was as a source of heat energy to drive a circulation of air in the mound. Figure 11.9 Cross-section of the mound of Macrotermes michaelseni. duits that extend upward to the collecting chamber and downward to the radial tunnels. The rest of the mound is permeated by an extensive network of lateral connective tunnels that connect the chimney with the surface conduits. A mature Macrotermes colony has a very high rate of metabolism, which must be supported by a considerable flux of oxygen and carbon dioxide and which dissipates a considerable quantity of heat. 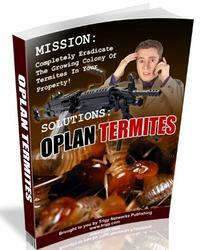 The 1-2 million individual termites in a typical M. natalensis colony consume roughly 1.5 liters of oxygen per hour. In addition, these termites cultivate extensive fungus gardens, which consume oxygen at a rate about 5.5 times the rate of the termites themselves. This brings the colony's total oxygen flux up to about 9.5 liters per hour. The dissipation of heat is proportional to this rate of oxygen consumption. The termites themselves generate heat at a rate of about 8 W, and adding the fungal metabolism boosts this to about 55 W. This is roughly equivalent to the metabolic rate of a 42 kg mammal, about the size of a goat. Figure 11.10 Martin Luscher's model for thermosiphon ventilation of the Macrotermes natalensis mound. exchange of gas is autoregulatory, as it is in the ventilation of an open honeybee colony. Although Lüscher's model for the Macrotermes mound is very elegant, it has not been immune from criticism. For example, Lüscher's model presupposes that the walls of the surface conduits will necessarily be cooler than the mound interior. This is not the case if the sun shines on the walls of the mound, for sunlight can warm the surface conduits several degrees above the temperature inside the colony. If this happens, the thermosiphon no longer operates, because air in both the surface conduits and the chimney will tend to rise. For me, though, one of the more interesting defects of Lüscher's model rests in one of its predicates: that the purpose of a social insect's nest is to insulate the colony from a harsh external environment. Embedded within this assumption is the necessary preclusion of any energetic interaction between the colony and the external environment. Any force that weakens the link between the circulation rate of air and the colony's metabolism necessarily disrupts the mechanism that ensures the homeostasis of the colony in the first place. Placing the colony into splendid isolation in the mound also limits the possibilities for the feedback meta-loops that would seem necessary for the mound to be an adaptive structure. If the mound cannot interact energetically with the outside environment, how can the performance of the mound be assessed and adjusted? How reasonably can we assume that the mound insulates the colony from the outside world? On the one hand, the assumption seems quite plausible: termites are fairly fragile creatures that seem to require a high degree of protection. Also, nearly all termite colonies are located inside nests of some sort, and these damp out the wild fluctuations of temperature and humidity that characterize the outside world. On the other hand, many species of termites build nests that are relatively open and exposed to the environment. Small arboreal nests, for example, experience substan tial variations in internal temperature and humidity. One could, of course, view these "exceptions" as relatively inferior steps on the grand progress to the evolutionary pinnacle represented by Macrotermes. But then, these supposedly inferior species seem to be doing quite well, despite not being very well insulated from the environment. Even among the supposedly advanced macrotermitines, the degree of isolation of the colony varies both between and within species. 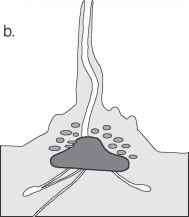 Many macrotermitines build mounds with large openings that seem contrived to capture wind energy in various ways (Fig. 11.11). The mound of the Kenyan Macrotermes subhyalinus, for example, is permeated with large holes, which seem contrived to act as wind scoops or vent holes. Some races of these termites even top their mounds with high chimneys. Success of these species does not seem to depend upon isolating the colony from the outside world. Indeed, they are doing just the opposite, building structures that draw in kinetic energy from the outside world in the form of wind. Nevertheless, these relatively open macrotermitine nests still could be considered relatively imperfect steps on the way to the closed mounds of M. natalensis, with their virtually clockwork mechanisms of ventilation and ensuing homeostasis. The key to the matter, then, is this: does a closed mound like that of M. natalensis interact significantly with energy in the outside world? If so, then these interactions could be the basis of feedback meta-loops that turn the mound from a structure built by "air-conditioning engineers," termites that carry around with them a blueprint of the correct structure of the mounds they are destined to build, into a rather mundane adaptive structure, something like the tuned singing burrow of the mole cricket. conical mound of M. michaelseni. This spire, which has a pronounced northward tilt, can extend the mound to substantial heights, as high as 9 meters. It turns out that the movements of gases in these mounds, unlike those in M. natalensis mounds, are strongly influenced by wind. So these colonies, despite having completely enclosed mounds, do not sit in splendid isolation from the environment. The interaction of the M. michaelseni mound with wind is straightforward. You will recall (from Chapter 8) that any fluid, including air, has mass, and when a mass is set in motion it has kinetic energy. 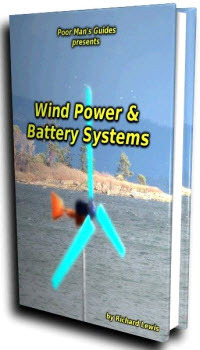 When wind interacts with an object in its path, so that it is accelerated or decelerated, the air's kinetic energy is converted to potential energy in the form of pressure. How this conversion occurs is determined by the Bernoulli principle: if the air is slowed down, the kinetic energy is converted to a positive pressure that pushes on the object. If the air is accelerated around the object, a negative or suction pressure results. The M. michaelseni mound, extending upward through the wind boundary layer, develops around it a complicated pressure field. 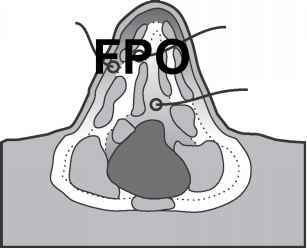 Positive pressures develop at the mound's upwind or leading face, and negative pressures develop at the mound's trailing and lateral faces. The pressures are small close to the ground but become larger higher up on the mound's surface, reflecting the variation of wind speed in the boundary layer. These pressures can be quite substantial, reaching as high as a few hundred pascals. At the porous walls separating the surface conduits from the outside, these pressures can drive air flow into or out of the surface conduits. If a surface conduit is at the mound's leading face, fresh air is driven into it. If the surface conduit is at the lateral or trailing face of the mound, air is sucked out of it. 7. Movements of air in a structure like the M. michaelseni mound can be followed by use of tracer gases and arrays of sensors that detect them. In this case, the tracer gas is a dilute mixture of propane and air that is injected into the mound at various points. The movement of the injected gas is detected by arrays of combustible gas sensors. outside. Because wind is turbulent, the flow of air in the forced convection zone is highly variable, moving fast as the wind speed picks up or slowing down as the wind ebbs. As the wind changes direction, air sloshes through the surface conduits from one side of the mound to the other. A second zone, the natural convection zone, encompasses the nest itself and the lower parts of the chimney. Here, air movements are governed mostly by buoyant forces imparted to the air by colony metabolism, similar to those in the M. natalensis mound. Air movements here, in contrast to those in the surface conduits, are slow and steady. Finally, sandwiched between the two and encompassing the lateral connective tunnels, is a mixing zone, where air in the chimney mixes with air in the surface conduits. 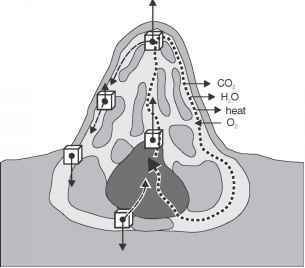 Figure 11.12 Zones of gas exchange in mounds of Macrotermes michaelseni. build excavate local pO2? local pCO2? local humidity? local air movement?